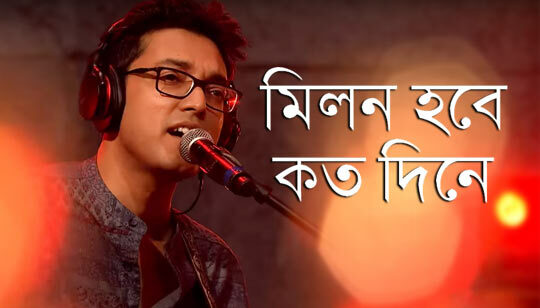 Moner Manush Lyrics by Anupam Roy: Presenting Milon Hobe Koto Dine Bangla Song Lyrics. This Folk Song is sung by Satyaki Banerjee, Anupam Roy and Babul Supriyo. Originaly Bengali Song Written & Composed By Lalon Fakir Hindi Lyrics And Composition For "Mai Wahan Ja Chuka Hoon" are penned by Anupam Roy.